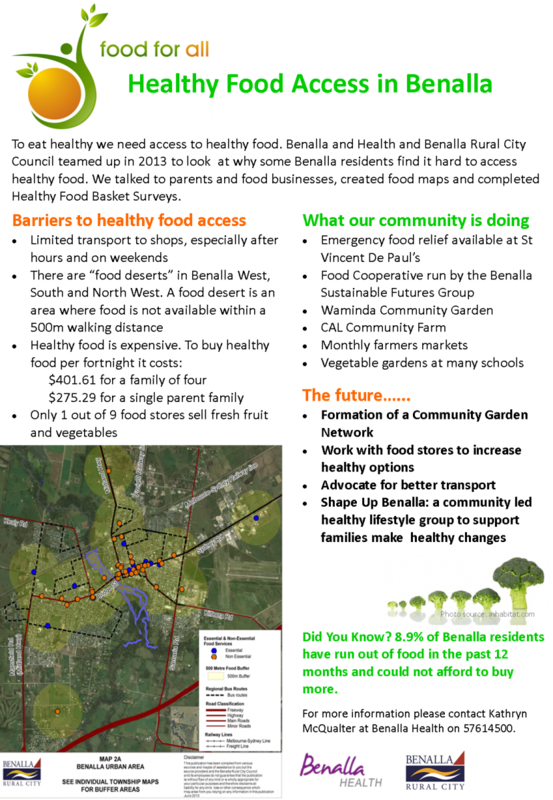 The Benalla Food Security Network was formed in February 2014 in response to a food security scan (see below). The group coordinates local solutions to improve access to healthy foods in Benalla. The group has members representing local government, neighbourhood houses, emergency food relief providers, non-for-profit organisations, schools and community members. In 2018 the group was reformed into the Benalla Local Food Network. It is run as an action group under the Benalla Sustainable Future Group. Please visit the Benalla Sustainable Future Group website for more details and meeting dates.